We value the opinions of our pupils and the School Council gives pupils a forum to share these opinions with the Schools senior leadership team. A new school council is elected each year, with every class from Y1 to Y6 nominating representatives. These meet at least monthly, often fortnightly with the Assistant Headteacher and Governor. On this page you will be able to find school council news and the latest minutes from the groups meetings. 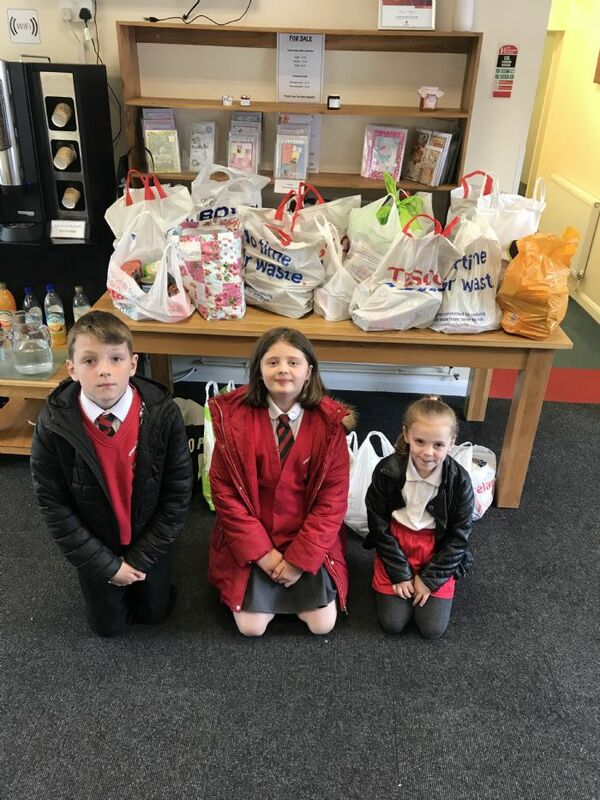 Over the last week, school council have been running a competition trying to see which class can collect the most food to donate to the Sleaford Larder. On this occassion it was Year 4 who had collected the most and they won a DVD and popcorn. Today 3 members of school council visited the Sleaford Larder to learn about the work that they do and how they support the local community.